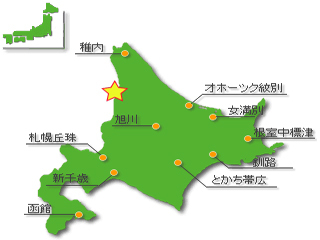 Hokkaido, Japan’s Northern Sea Circuit, is known as the biggest Sea Cucumber catching quantity　in our country. With its distinctive facts of Six Line Needles’ beauty and rich nutriment,　Hokkaido is the origin of the very best quality of Sea Cucumer in the world. As there are enough　planktons around the catching area, Sea Cucumbers grow healthy in the cold　sea water environment. 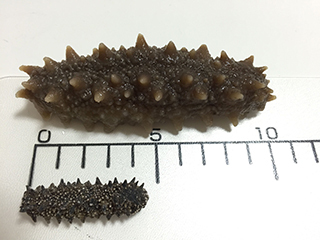 It has been found that Hokkaido Sea Cucumbers’ growth is considerably　slower, three to four times longer times than any other areas. 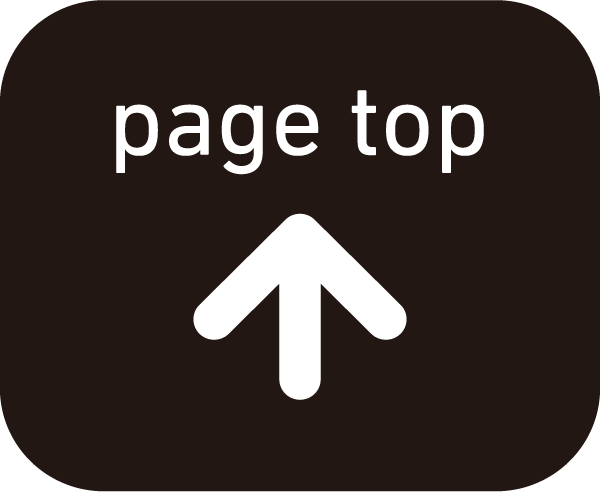 Accordingly, such slow growth in　tough environment create extremely high nourishment of Extra Premium Quality. 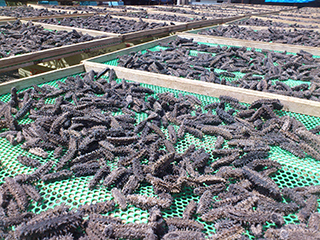 Our Dried Sea Cucumber factory is located in Haboro town in Hokkaido, strictly producing with traditional technique with over twenty years experiences. There is no suger, no salt or any other preservatives in our product. Dehydrated Hokkaido wild-grown Sea Cucumber has been well accepted with its soaking back　times rate, thick meat and nice texture. 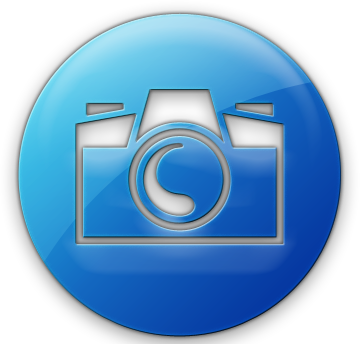 Copyright© 2019 TAKESHO CO., LTD All Rights Reserved.